The picture displayed for this item is a picture of the DP8340 Series and may not be of this part number. 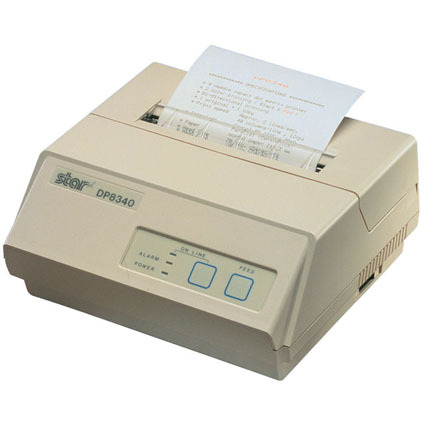 For a complete product description, including technical specifications, warranty information, and additional models please visit the main DP8340 Series page. Effective Printing Width: 3" or 4.25"
Dimension (WxDxH): Unit- 7.95" x 7.87" x 3.86" ; Power Supply - 5" x 6.22" x 2.64"